Do you love the Moroccan Style? Then these earrings are right up your alley. Steeped in mystery and swirled with intrigue, these beauties echo of foreign markets and hushed romances. Love the Boho look? These striking vintage-inspired earrings are the perfect bohemian accessory. 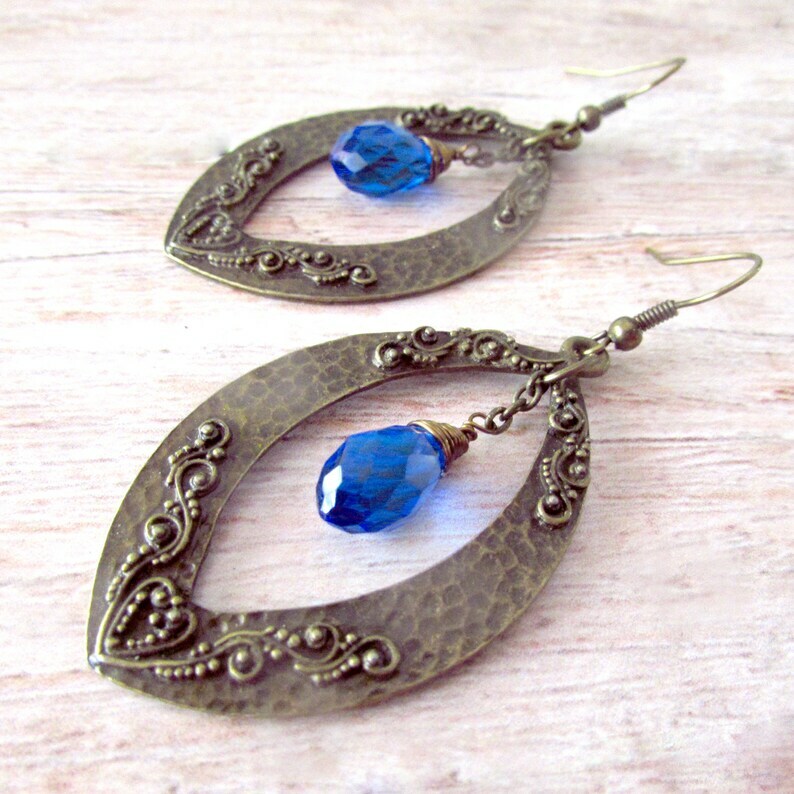 The main body of these lovely earrings consists of cast antiqued brass tear drops that features a hammered look with delicate, filigree overlays. An expertly wire-wrapped vivid blue Czech crystal drop has been suspended within the brass form by a thin antiqued brass chain. 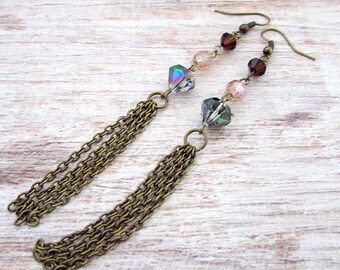 The matching antique brass ear wires provide a comfortable wear for these lightweight and beautiful earrings. These evoke the style of Morocco while being modern enough to wear on the streets of New York. Grab up these beauties today. These dangle earrings measure approximately 2.75 inches (6.99 cm) in length.